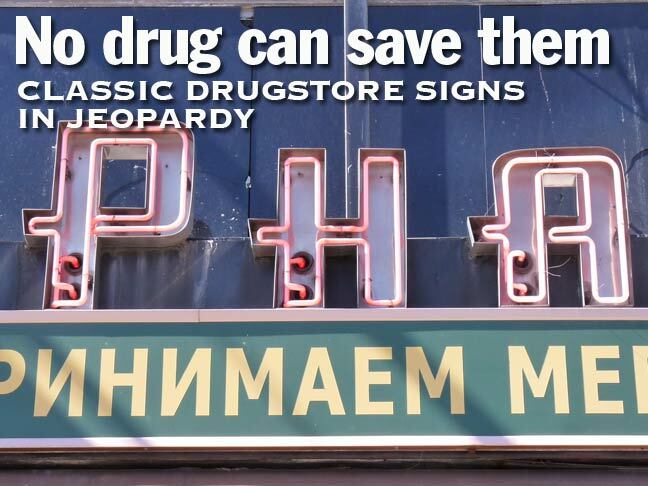 On a recent jaunt in Midwood, Brooklyn I made sure to check on a pair of classic neon drugstore signs I’ve been aware of for quite some time. Unfortunately the news is not good and unless something happens, it appears we won’t be seeing these signs anymore before long. 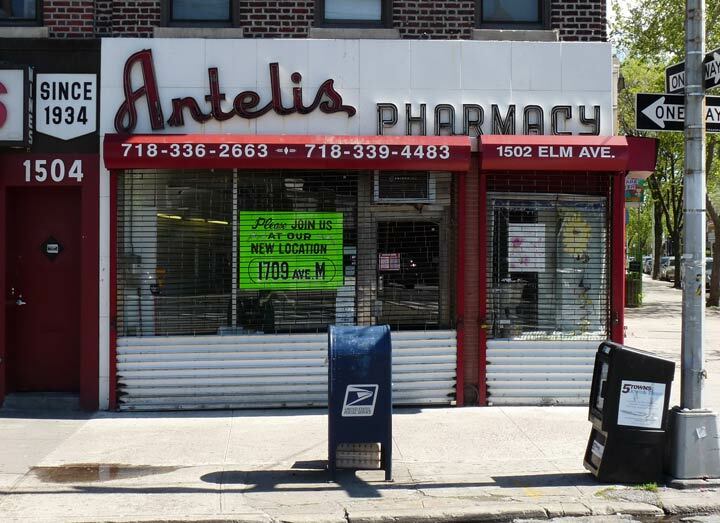 The first belongs to Antelis Pharmacy on Elm Avenue and East 15th, just off Avenue M. The store has moved out of this location, leaving the neon sign behind and has new quarters further east on Avenue M. Whoever rents this location will likely discard the sign. 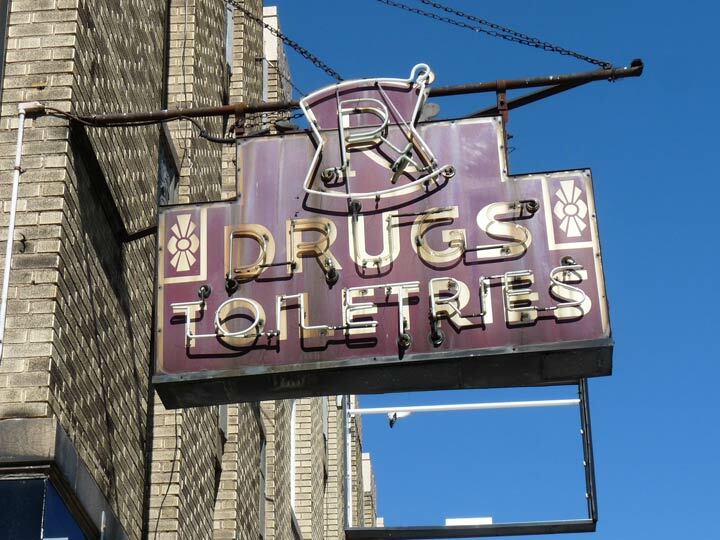 The neon has the classic “vessel with a pestle” motif on the East 15th Street side. 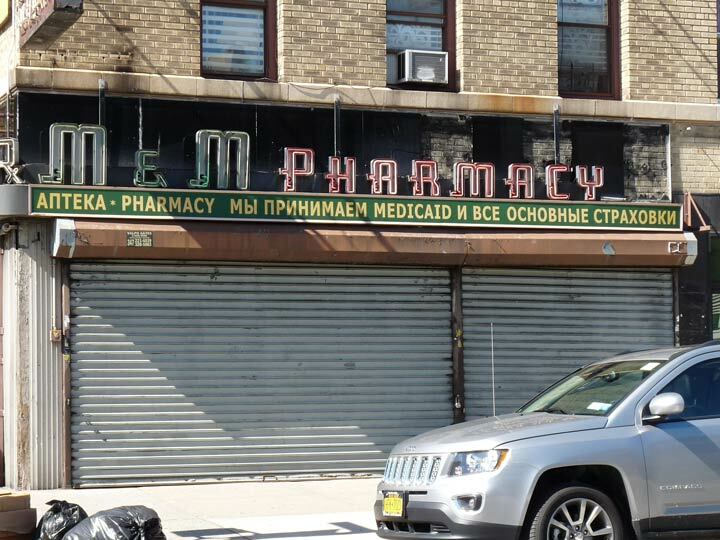 The second is M&M Pharmacy on Avenue M and East 19th. I found it closed on a mid-Sunday afternoon, not a good sign. I checked on yelp.com which indicated the store has closed for good. If you look closely the word “Pharmacy” is still lit up. I suppose they couldn’t get it to turn off when they closed for good. Here, the side street sign is about as wide as the avenue side. The real treasure here, though, is the sidewalk overhang in burgundy with red and green neon, with the vessel and the pestle again prominent. These signs did the job for seven decades and were likely installed in the Fab Forties. If an angel doesn’t come along and save them, they may be trashed. I’m contacting the American Sign Museum in Cincinnati to see what could possibly be done. P.S. M&M may still be open, as a local resident says they close Sundays, and the yelp.com reports may be premature. Kevin: You might try contacting the Museum of Neon Art (MONA) in Glendale, CA. I don’t think their reach is to the New York City area, but they might have some contact information for purposes of sign rescue. MONA is on Facebook. The Russian lettering on the M&M sign makes it especially unusual. Hope someone saves it. Antelis was kicked out of their old location by the landlord. From what I was told , there was a pharmacy there for 83 years. The Neon Museum in Vegas could also be a source of contacts. WTH?! 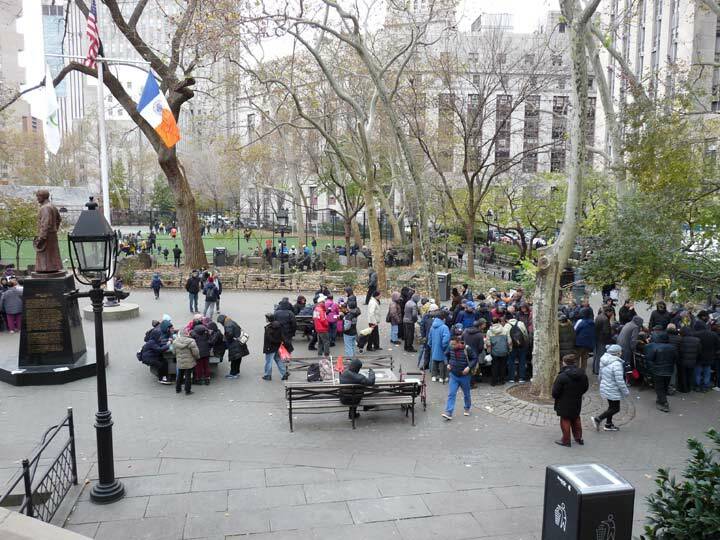 I was looking at this area on Google Street View last night- it looks completely different! 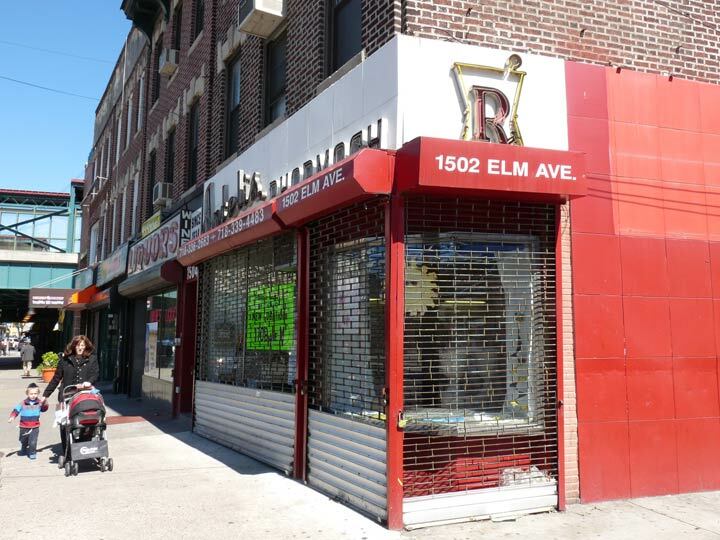 Now, it’s a bunch of parking lots, single-story free-standing stores and Fedders specials…. 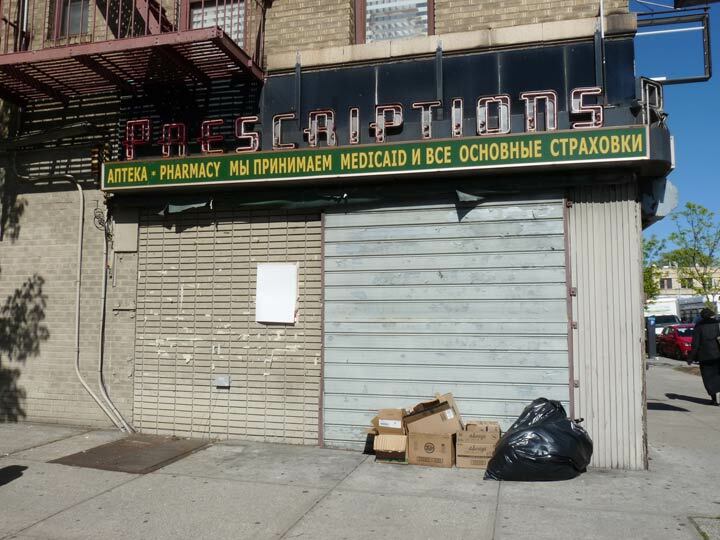 The sign/drug store/building I made reference to above, appears to be MIA. The way they’re (un)developing this place, does not seem to be a very efficient use of space where real estate values are so high. What gives?